Last edited by dougwells; 02/05/13 01:49 PM. Looks to be right around $40.00, so no surprise there. Hopefully a little less at actual wholesale from the local supply house, but I'm guessing not by much. Interesting, it finally seems to be here. I just sent them an email inquiring if any samples are available for AHJs and Instructors. Thanks for the news and the link. You mean I don't have to turn a neat panel into a spaghetti factory anymore Wahoo!! Only problem I could see with this is it would technically leave the home run still vulnerable. Last edited by Theelectrikid; 02/05/13 06:37 PM. 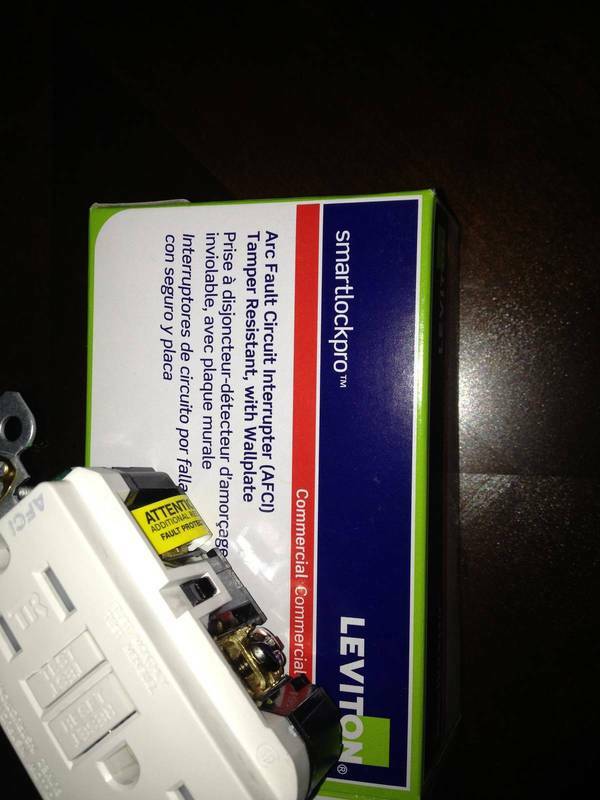 Backdoor conformance with 210.12 (A) ex 1 would be to install one of these Leviton devices in a 4Sq adjacent to the panel, with a compliant wiring method from the panel to the 4Sq. Now, compare the $$$ of the 'device' and an AFCI CB. I am surprised these are not dead front. If you are just putting in a few circuits that need to be AFCI, this makes a lot of sense. I imagine you could get 2 in a deep 4x4 or 4 11/16 box. That might be enough for a small addition or a basement remodel. Prior to this you were running a feeder to a new style sub panel that you could buy AFCI breakers for. I find it sort of odd that it's "commercial grade", and the requirements for both AFCI and TR are limited to residential use.